I am, for some reason, very fond of Komodo dragons. I own a Komodo dragon beanie baby. Very fond. My fondness has even survived Ed Yong’s efforts to destroy one of the most cherished myths of my childhood – the septic bite of the Komodo dragon. My soft spot for Varanus komodoensis is almost entirely due to the Matthew Broderick classic film, The Freshman. It was reinforced by a moment I had with a Komodo dragon at the St. Louis Zoo. Granted, the dragon was clearly making a threat display because it felt I was trying to encroach on its heat lamp territory. While the dragon was not correctly interpreting my intentions, there was something very compelling about having the attention, one-on-one with such a creature. My affection for the lizards has not been dampened by Ed Yong revealing that the bite of the Komodo dragon is truly venomous (they essentially inject you with blood thinners and anti-coagulants, the bastards), not toxic from septic bacteria as has been assumed for the past 50 years or so. In 2009, Fry discovered the true culprit behind the dragon’s lethal bite, by putting one of them in a medical scanner. The dragon has venom glands, which are loaded with toxins that lower blood pressure, cause massive bleeding, prevent clotting and induce shock. Rather than using bacteria as venom, the dragons use, well, venom as venom. 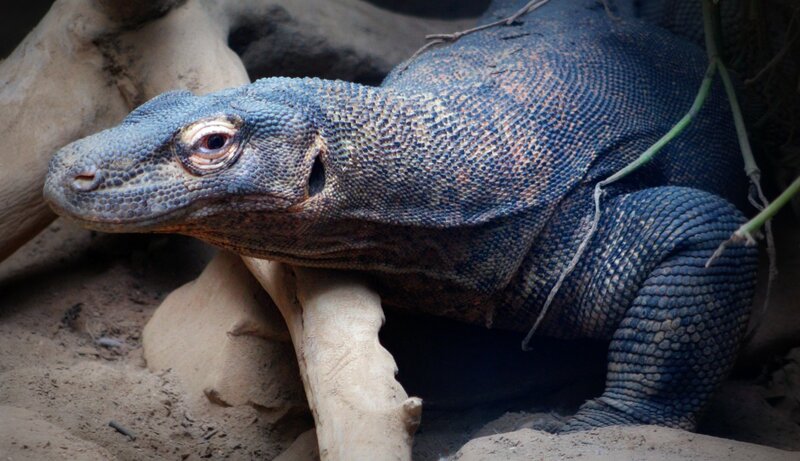 Why do Komodo dragons still capture my imagination? Look, giant lizards with toxic bites are cool. Giant lizards with venomous bites are no less the stuff of really cool nightmares. This entry was posted in Curiosities of Nature and tagged komodo dragon, Linkonomicon, matthew broderick, the freshman. Bookmark the permalink.